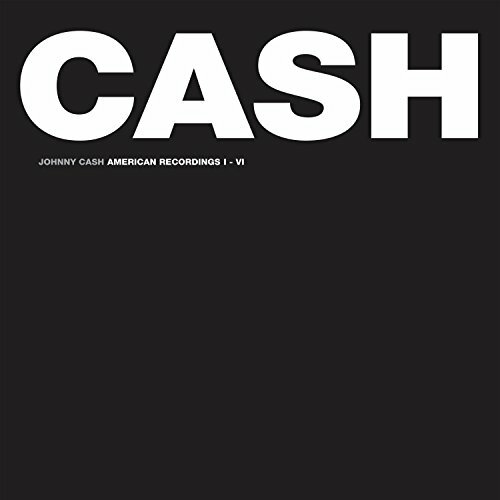 All six of the iconic Johnny Cash American Recordings LP's are now available in their entirety in one box for the first time. Produced by legendary producer Rick Rubin these 6 180gsm LP's are housed in a beautiful 12x12 cloth covered box. Albums included are: American Recordings (1994), Unchained (1996), American III: Solitary Man (2000), American IV: The Man Comes Around (2002), American V: A Hundred Highways (2006), American IV: Ain't No Grave (2010). Some of the tracks included on these albums are: Delia's Gone, The Man Who Couldn't Cry, Rusty Cage, I've Been Everywhere, The Man Comes Around, Personal Jesus, God's Gonna Cut You Down, Love's Been Good To Me, Help Me, Ain't No Grave, Redemption Day and the legendary version of Hurt.